Janelle In Real Life: mocs & scouts. Ok here's the thing... I'm obsessed with moccasins. They are so comfy and fun and I've been looking for a good pair for the fall. I'd settled on some minnetonka's (THE moccasins, right?) but as I was browsing around on forever 21's website I saw some look alikes for cheaper! They are cozy and fluffy on the the inside and made of real leather so they should be pretty durable! And you guys, my husband and I just got called to be cub scout leaders. I come from a family of all girls and have no sort of experience with scouting, but what I know so far is that people take scouts REALLY seriously. I've gotten like 25 emails (I just got called this week) and all kinds of people inviting me to meetings, and giving me books to read and forms to fill out, and parents wanting to know when they should drop their sons of at our house to do scouting things and I'm here like.... what do they even do at scouts? I guess I'll be finding out. 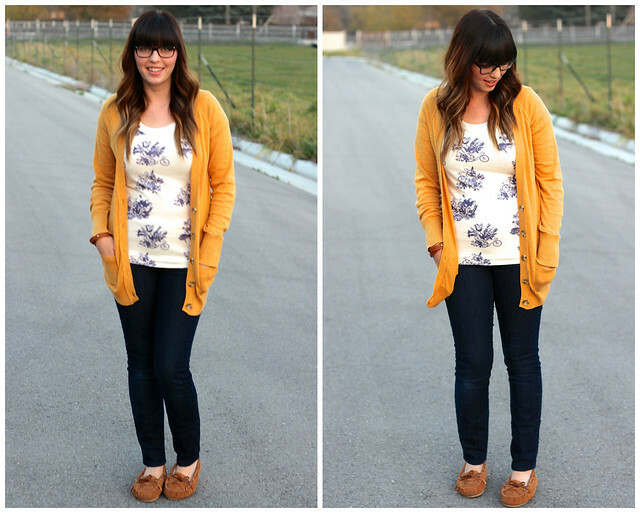 loving that mustard color cardigan! you look great. Found you via the link up. love this outfit! I've been wanting a mustard cardi for so long. Love this outfit and those shoes look super comfortable!!!!!! I also have a love for mocs. This mustard is a great color on you too! Stopping by from Fab Friday's Link-up! I love wearing mocs all weekend long! They are the most comfy shoe and a great break from heels! I love your clothings! It impresses me! My workmate are gonna love it more! Thanks for your sharing and posting! Lol! I love the color of that sweater, I get your obsession moccasins are great for the fall! 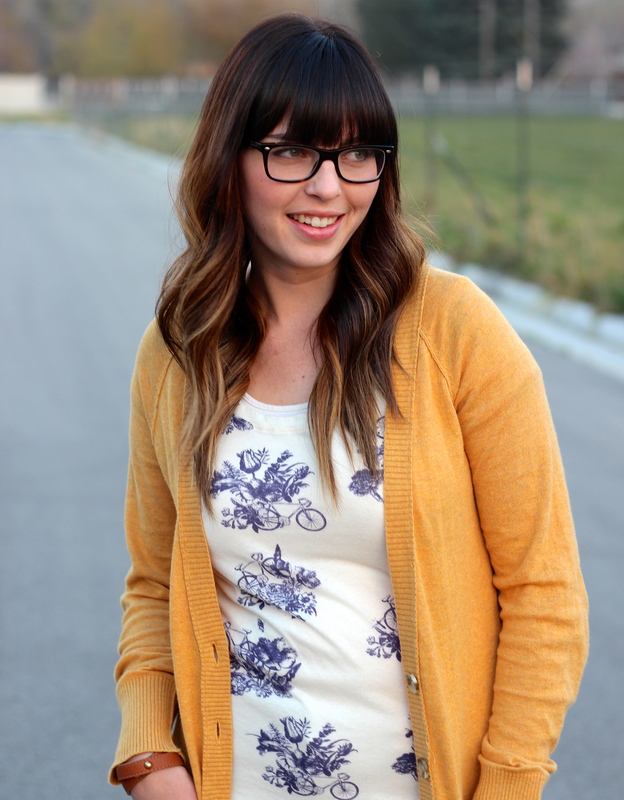 I adore the colors of the top mixing with the mustard cardigan! Perfect combination! oh my goodness, i wore a super similar outfit! http://www.rachelsayumi.com/2013/10/mustard-cardigan.html twinzzz! love love mustard.